Guess she wants to have gray seal for Thanksgiving!!! 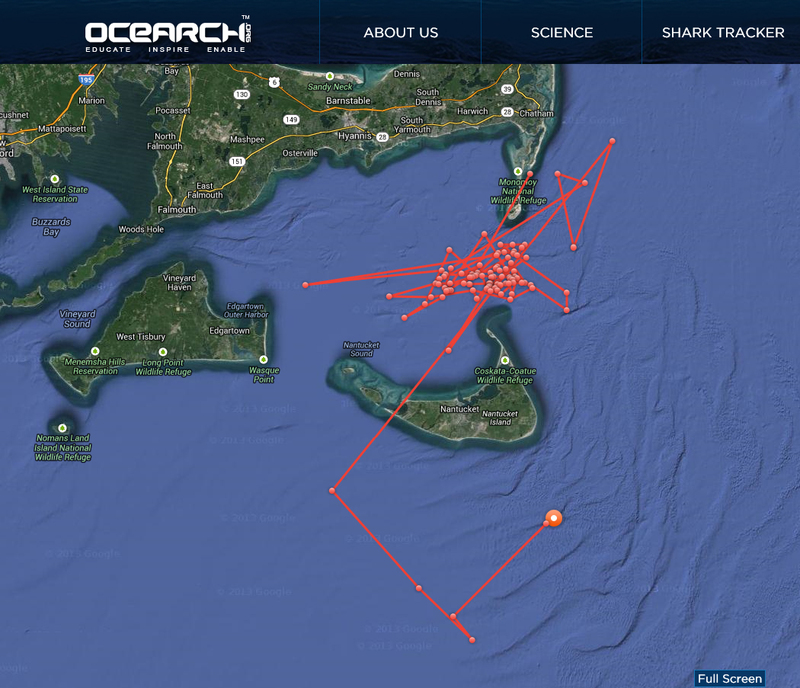 She pinged in today on the South Side of Nantucket. That was a heck of a jump over Nantucket ! I guess this was not Katherine as she would have shown up on the tracker. Unless she just did not have her dorsal fin out long enough. Genie "Z" pinged during that time period so it possibly could have been her. A "Z" ping is when they get a signal but not long enough to get a location. Chatham receivers were hauled today. 3 sharks were detected in the past week. 9 different sharks were detected since October including the 4 sharks (Betsy, Katharine, Weezie, Luci) tagged off Cape Cod this summer. Betsy, who was tagged on Aug 13, hasn't pinged in via her SPOT tag since Aug 17.